GiLoCatur was there to witness the magic moment at the DATCC last Sunday. GiLoCatur wasn't playing but was recording the moment. You know the results and the winners from chess-results.com and other blogs. GiLoCatur witnessed several upsets. Happy and smiling faces of the victors. Sad face and tears of the losing players. GiLoCatur would like to share several interesting photos during the marvellous rapid weekender tournament. GiLoCatur would like to call them the "crowd pullers" photos. The above moment was in Round 1. There must be something special why there was the crowd like this, right? Only those who were there felt the magic moment watching the special game. So, don't you feel you should be there too? In chess, age is no barrier. A young player is capable to win a chess match over an adult. The above battle over a chess board between a senior versus a junior happened in Round 2. No doubt, the current Malaysian top player based on FIDE ratings, International Master (IM) Mas Hafizulhelmi has always been a crowd puller during a local chess tournament like the DATCC Maverick. Mmmmm ... GiLoCatur wonders what Ilham was thinking or planning by watching closely Mas's game. Is he gonna write "How To Beat IM Mashafizul for Dummies"? GiLoCatur is very glad that the juniors were watching Mas's game. They can learn something from him. One fact that the juniors should learn from him is that YOU SHOULD ALWAYS RECORD YOUR GAME EVEN THOUGH NOT MANDATORY. A Woman Fide Master (WFM) can be a crowd puller too. Every one wants to win against a titled player. Only the player who wins over a title player knows what the feeling it is. Right, Lucas? Make your very supportive mom proud! GiLoCatur believes these two players have played each other so many times. Do they know their personal encounter records? During the Maverick tourney, their chess match is a crowd puller. The encounter between Malaysian-based "pinoy" Ian Udani and Fong Yit San in the sixth round is also a crowd puller. GiLoCatur strongly believes that the win by the latter had a big impact on the former that kept him out of the winners list. Other juniors should be motivated by this tremendous feat. SO, KEEP ON PRACTISING AND SPARRING! SEE YOU AT THE NEXT EVENT! 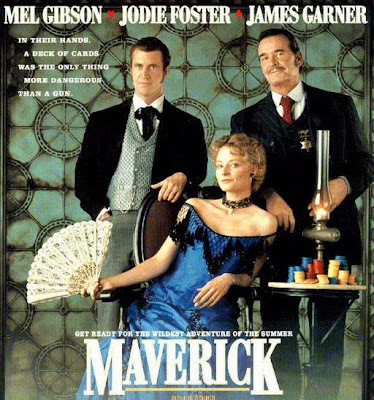 Just to update you that the number of players for Maverick rapid weekend now stands at 105 players, oversubscribed by 15 seats than expected. (I actually anticipated only 60 players!) It is so good to see many strong players coming to the fore to play in this event. FYI, Mas has again reconfirm that he will be playing – excellent!!!! Appreciate if you can help share the good news with your blog followers/readers. I have also updated the DATCC blog site with the following story. Thanks for your continuing support and assistance. FOLKS! LET'S RUMBLE THIS SUNDAY AT DATCC. This weekend is a "PIBG" or PTA in English (still don't know what it is? he he PTA is the acronym for Parents Teachers Association) meeting for GiLoCatur and other SKBJ and KUSESS parents. Trying to be a good parent, GiLoCatur would not miss a PIBG meeting / AGM. But for this year, GiLoCatur had and would miss such meeting. Hopefully, GiLoCatur can at least make it for the SKBJ's. 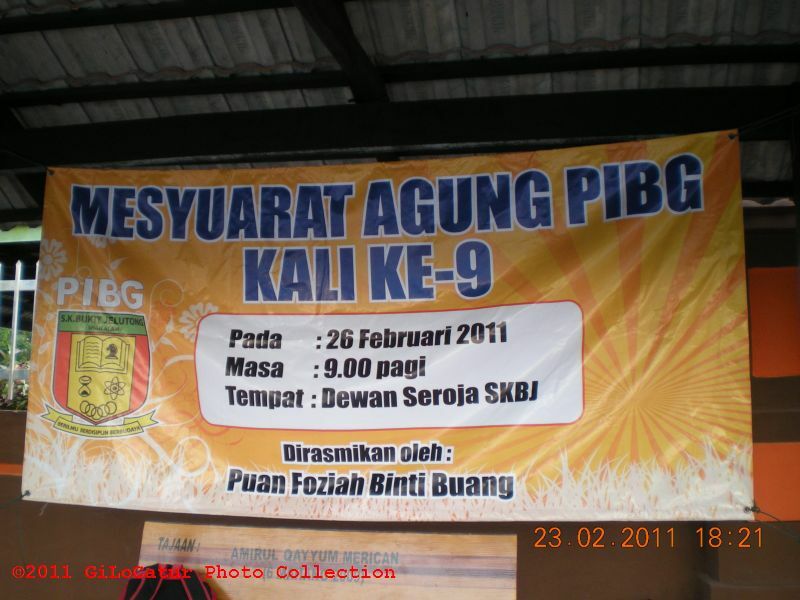 Last year, GiLoCatur had only two PIBG meetings - SMK S18's and SKBJ's. But this year, GiLoCatur has one more - KUSESS's. Due to some commitments and programs, GiLoCatur missed the first one a couple of weeks ago and will miss the KUSESS's. It is kind of sad since the KUSSES's would be the first time for GiLoCatur. Forget about PIBG meetings. What we, the Malaysian chess coumminity, will have this weekend? 1) the 2nd Elite Open Preliminary 2 that will be scheduled from 9.00am to 1.00pm. 2) the Prestige Junior Chess Tournament that will be held in the afternoon from 2.00 to 6.00pm. Please SMS your name, age & name of tournament to 0172032051 to register to earn the opportunity to win cash prizes, IF YOU DARE! The MAVERICK DATCC Chess Rapid Weekender which registration is already closed after crossing 100 participants. A Simul Chess At Indoor Court? Why the above chess simul by English GM Nigel Short caught GiLoCatur's attention? It is because the venue of the event is at - a "real" tennis court. Maybe our Malaysian simul "kings" - i.e. CM Collin Madhavan and Seargent Ismail Ahmad can do the same? In fact, GiLoCatur had wrote about two chess simuls in Malaysia before. A chess simul at a shopping mall - here. A chess simul under a plane - here. More players have registered for the 2011 NC. Below is the latest email from Mr Najib Wahab regarding the participants list of the national chess tournament. Attached is the “almost” FINAL list of players for the National Closed 2011. Although the are 7 seats left for the event, further application for entry shall be placed on a waiting list, pending approval for entry from the organizers. The main criteria that the organizer will look at to approve the entry shall be based on the applicants FIDE rating strength. Whilst the organizer can make concession to increase the number of players playing to exceed 120, with the early bird timeline ended yesterday, the number of participants are not expected to increase drastically within the next few days. Players who have pre-registered but has not made the necessary payment are advised to do so within the next 24 hours after which, their names shall be considered for deletion and replaced by the new applicants/entries. As a rule of thumb, players who do not have a FIDE rating points shall be the first group of players to be deleted. The total number of players for the Open Section currently stands at 81 players (it was 94 players last year) and for the Women section, 32 players have registered for the event (it was 44 players last year). 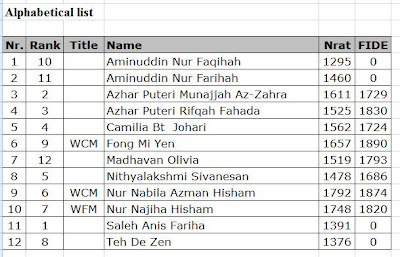 Mr Najib Wahab sent the following email regarding the 2011 NC Participants List. The number of players registering for the National Closed increased rapidly over the last 24 hours with the number of players for the Open section hitting 75 players and the Women section climbing to 22 players. Penang sent in 11 players for the event (9 for the Open section and 2 for the Women) followed by Kelantan and Pahang with 3 players each, and Sarawak with a single representative. Both the winners of last year National Junior event, Lim Zhuo Ren and Alia Anin Azwa Bakri have registered for the event, including reigning Women Champion, Fong Mi Yen. For the Open section, the top seeded player is currently Loo Swee Loong of Penang followed by Mohd Saprin Sabri and Yeoh Li Tian. In the Women section, WFM Alia Azwa Anin Bakri leads the pack followed by WCM Fong Mi Yen and WCM Nur Nabila Azman Hisham. With capacity for the National Closed is limited to 120 seats, there are only 21 seats left to be filled. With some states still waiting for the 1st March deadline to register, and those who are rated 2200 and above who are waiting until 9th of March to confirm their participation, the door might close much earlier as soon as the number of players hit the ceiling of 120. Some of those who have preregistered but have not made the necessary payment, are advised to complete the payment soon or contact the organizer for extension failing which, their names may be canceled to allow for other players to take part. For further information or clarification, or if you find that your name has been listed in err, please contact Najib Wahab at +6016 338 2542 or najib.wahab@chess-malaysia.com. A couple of hours ago, GiLoCatur and family was at the Shah Alam Uptown. We participated in the 2nd Shah Alam Uptown Open. The tournament scheduled to start at 9.00pm had to delay about 30 minutes due a technical problem. About 60 players participated including Jasur Madjidov from Uzbekistan. All the participants had to play seven rounds of 15 minute time control . The tournament is unique because it is played in the night time. Players played their games under a canopy. So, was the top player who is rated (FIDE) at 2214, the champion? Interestingly, the answer is NO. Then, who is the champion? The champion is a familiar teenager in local chess circuits. His name is Muhd Nabil. Nabil came home RM 350 richer. The above chess player (left, white t-shirt) is a giant killer. Entering the fifth round, he had a perfect 4/4 score. He led five 3 1/2 pointers by halfpoint. His MCF rating is just 1398. But he managed to defeat NM Kamalarifin Wahiduddin, Kamaluddin Yusof and Muhd Nabil. WHAT A SUPERB PERFORMANCE BY HIM! Just received the pre-registered list of the incoming 2011 National Closed from Najib Wahab via email a couple of hours ago. Below is the list for the Women's section. Just 12 players who, as far as GiLoCatur knows, all are Under 20 years old had registered including Anis, GiLoCatur's daughter. pssst: GiLoCatur believes the rank in the above table means the order of registering. Rank 1 for Anis means that she is the first one to submit her name. The defending champion, WCM Fong Mi Yen, will be participating. Her Olympiad team mate, WCM Nur Nabila, is also in the list. 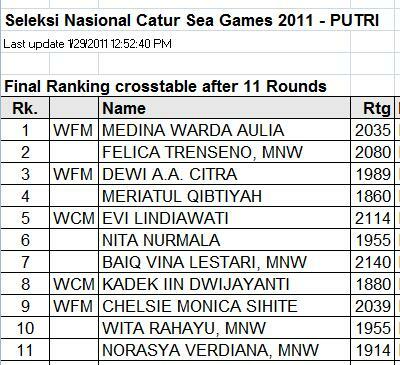 Nabila's name is already in the SEA Games selection list. But GiLoCatur believes she is eying for the NWM title. Will Alia participate too? One thing that the selection criteria needs to be addressed clearly, in GiLoCatur's opinion, say if WFM Alia also participates and both she and Nabila are among the top 8 finishers, will they be included or not? Is it 2 + 8 (won't be Top 8; Top 10, then if both of them are among the Top 8 finishers? or is it 2 + 6? GiLoCatur hopes this criteria will be more specific and stated clearly. Avoid assumption. GiLoCatur hopes many more women / girl players especially all the NWMs will take part in the tournament. Who else to support our chess community? Two chess events during this weekend as far as GiLoCatur acknowledges. One is called the USM 1Malaysia Chess Open held at Nibong Tebal's USM (Universiti Sains Malaysia) Engineering Campus. The seven-round G/25, 25 minute time-control, tournament will start today at 10.00am as per schedule. GiLoCatur believes all Penang chess players and other surrounding areas will participate in the tourney. Another one will be held at Uptown Shah Alam. Unlike most local chess tournaments, the tourney at Uptown will start at 9.00 pm, yes at night. The format will be seven-round G/15 meaning 15 minute time control per player. The tourney is scheduled to end at around 1 o'clock after midnite. GiLoCatur and the kids, Insya Allah, will be among the participants tonite. Shah Alam folks, ADA BERANI? Another Malaysian chess blog is in the Net. Making its debut on Tuesday 15th February, The Chess Connections provides insights on Malaysian chess from the perspective of a chess arbiter and organizer. 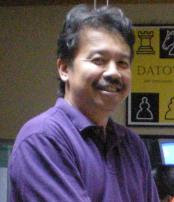 The blog is authored by Najib Wahab (above picture), the current caretaker of DAT Chess Center. 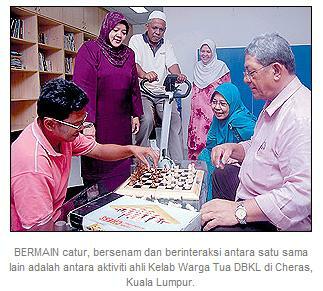 Chess In Newspaper "Utusan Malaysia"
CHESS is not a popular sport in Malaysia. Unlike football, chess is not well known among the Malaysians. It does not have strong followers. In schools, it is not a "sukan teras". Therefore, chess does not get good media - both electronic and paper, coverage. Therefore, GiLoCatur believes we, the chess fraternity, should work harder and have good rapport with the media journalists. Below are some chess coverage in Utusan Malaysia, a daily Malay newspaper. 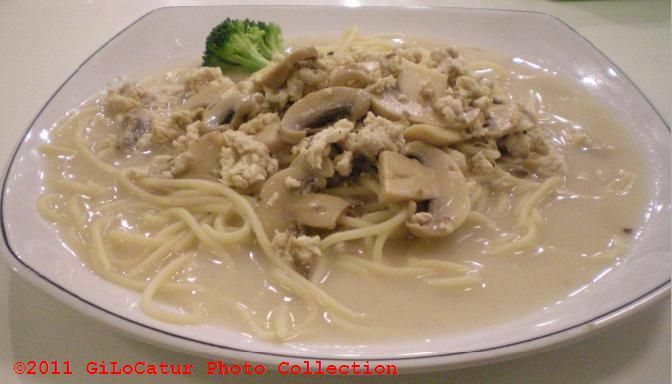 "About 7% Malaysian population is the senior citizens or simply called as Warga Emas in Malay. DBKL or KL City Council has initiated and supervised clubs of the senior citizens or Kelab Warga Emas whose activities include playing chess." Shouldn't we, the chess community, outreach them for our chess events? "permainan catur juga dapat menajamkan lagi daya pemikiran serta membina keyakinan di kalangan generasi muda." "Saya sangat setuju jika pertandingan catur ini dapat diadakan sepanjang tahun dengan melibatkan semua kaum,"
Senggarang state assemblyman, Ja'afar Hashim, said the above while presenting a RM500 cheque to Batu Pahat Chess Association in November 2009. According to him, the younger generation especially the kids should be encouraged to play chess to ensure the government effort to build the society that has intelligence and smart thinking. He also hopes that the event will attract parents and teachers to promote the sport among the society. GiLoCatur just found out about an annual chess event organized by Jabatan Pendidikan Khas Negeri Terengganu. Last year, it was held in October at the Permai Hotel. 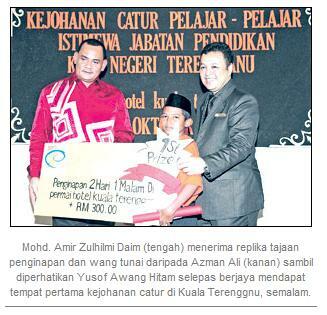 In 2009, it was held in August and won by Muhammad Danial Zainuddin. Another proof that chess is very beneficial for the school children. A very good effort by the Terengganu state education. Keep it up! 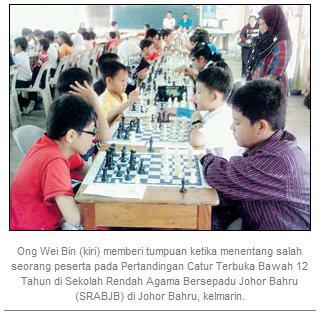 "Wei Bin juara Catur Terbuka Bawah 12" - that is one of the news title in Utusan Malaysia, Johor segment dated 20th October last year. The name seems very familiar to GiLoCatur. Sure enough, GiLoCatur wrote a special entry about him and his family - the Ong family, sometime ago. GiLoCatur is very happy because the tournament had attracted many school children around JB to participate (as can be seen in the above photo) even though money prizes are not in stake. GiLoCatur also hopes that the tournament is not the last one organized by Sekolah Rendah Agama Bersepadu JB. In May 2009 (arkib : 18/5/2009), Utusan Malaysia covered about the results of the Kilang Gula Felda Perlis Chess Open. As far as GiLoCatur knows, Kilang Gula Felda Perlis is an excellent and active organizer for the chess tournaments. GiLoCatur and the kids had participated in last year edition held in June right after the MSSM. Hopefully, we can participate again in this year event. In September 2009 (arkib : 10/9/2009), Utusan Malaysia reported about an OKU chess player named Choo Min Wang who represented Malaysia in 2009 KL Para ASEAN V Games receiving a monetary incentive reward from MSN. The incentive known as Skim Hadiah Kemenangan Sukan amounted about RM 9,500. 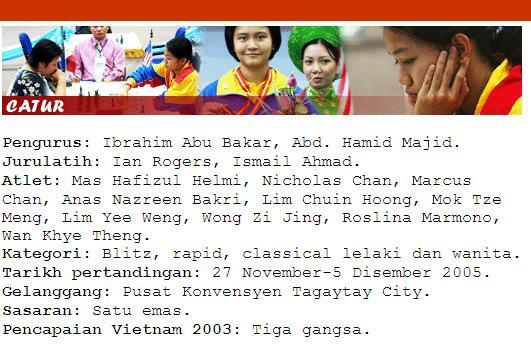 So, who says that chess athletes can not make Malaysia proud and produce gold medal in international sport event? Can chess gives medals to the country during the SEA Games in Indonesia in November? A chess tournament held in Kuala Langat was once reported by Utusan Malaysia here. 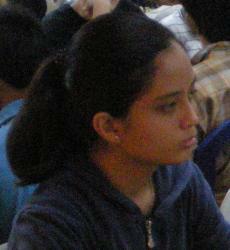 The Kuala Langat Chess Open which was held in October 2008 had attracted more than 200 chess players. Nearly RM 6,000 in monetary prizes were offered to participants in the tournament organized by MDKL or Kuala Langat District Council. In February 2009 (arkib : 25/2/2009), the coverage is about the record made by GM Kiril Georgiev for the most opponents in the simul chess event. He played against 360 opponents simultaneously with only 6 losses and 70 draws while he won the rest. 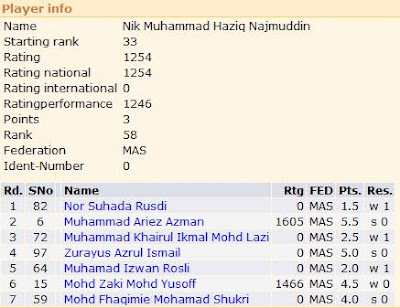 In Malaysia, there are two players who are popular for chess simul. Can you name the two Malaysian chess players? Easy uh! While in September the same year (arkib : 26/9/2009), Utusan Malaysia wrote about the classic chess encounter between two chess legends - Gary Kasparov and Anatoly Karpov. The chess fight was held in Madrid, Spain and won by the former. Surely, there are lots more media coverage about chess in local daily news papers. GiLoCatur urges chess event organizers especially chess associations to provide PRESS RELEASE to all the media so that chess can outreach to more people and has excellent promotion. Berdasarkan pencarian di Internet, GiLoCatur berjaya mendapat info dan maklumat berikut tentang pasukan catur Malaysia di Sukan SEA. 1) Acara catur dipertandingkan di Sukan SEA bagi edisi 2003 dan 2005 (Manila); tetapi tidak bagi edisi 2007 (Korat, Thailand) dan 2009 (Vientiane, Laos). Malaysia bertanding dalam acara catur bagi kedua2 edisi tersebut. Skuad pasukan catur (2005). Bagi edisi 2011 di Indonesia, siapakah agaknya yang akan mewakili negara? 2) Malaysia berjaya memungut 3 pingat gangsa di Sukan SEA edisi 2003 di Vietnam dengan dua daripadanya disumbangkan oleh Siti Zulaikha bagi acara rapid individu dan standard individu. 3) Siti Zulaikha tidak menyertai Sukan SEA edisi 2005 kerana menduduki peperiksaan SPM. 4) Ian Rogers dari Australia merupakan jurulatih pasukan catur Malaysia Sukan SEA ke 23 dengan dibantu oleh Sarjan Ismail Ahmad, bekas juara catur Polis sedunia. Berikut adalah satu cabaran kepada pemain-pemain catur yang mewakili Malaysia di kejohanan2 antarabangsa seperti Sukan SEA dan Sukan ASIA. Sesetengah sukan seperti bola tampar pantai, catur, kabadi, kriket, ragbi dan triatlon yang tiada dalam program Cabaran 2010 pula kita hantar tetapi tidak meletakkan harapan tinggi untuk mereka meraih pingat. Apa pula yang dimaksudkan dengan Atlet Kategori A dan Atlet Kategori B seperti yang tercatat dalam laman blog rasmi MCF? atlet kategori A iaitu mereka yang mendapat tempat ketiga atau layak ke separuh akhir pada temasya sebelum ini. Jadi mereka ini mampu menang pingat. ... kategori B iaitu jika mengikut prestasi memang tak mampu meraih pingat. Mereka ini lebih kepada pendedahan selain mungkin dapat mencipta kejutan. "... it is pointless having a site that is not updated daily and lacks even basic info." The above statement, actually a very good tip for bloggers like GiLoCatur, which caught GiLoCatur's attention was picked up from http://ssdhaliwal.blogspot.com. The blog is about the Malaysian sports as per its title. If GiLoCatur not mistaken, the blog author is (or maybe was) a journalist. Visit the blog to read about the Malaysian sports. Sebelum ini GiLoCatur pernah menulis (di sini) tentang SELEKNAS CATUR SEA Games ke 26 yang telah dianjurkan oleh Persatuan Catur Seluruh Indonesia atau lebih dikenali sebagai PERCASI. 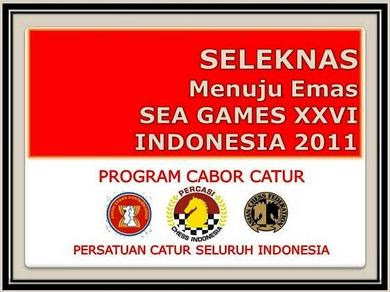 SELEKNAS yakni singkatan dari Seleksi Nasional atau dalam bahasa omputihnya, national selection, ini diadakan untuk memilih pemain-pemain catur yang akan mewakili Indonesia bagi acara catur di Sukan SEA yang bakal berlansung bulan November nanti di Palembang. Top 11 bagi setiap kategori lelaki (PUTRA) dan perempuan (PUTRI) akan terpilih menjalani latihan dan saringan berikutnya bersama-sama GM Susanto Megaranto dan GM Irene Kharisma Sukandar yang telah layak secara otomatik. 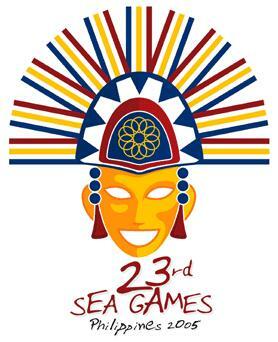 It is very important that a proper national selection to be held to represent the country in an international event such SEA Games. 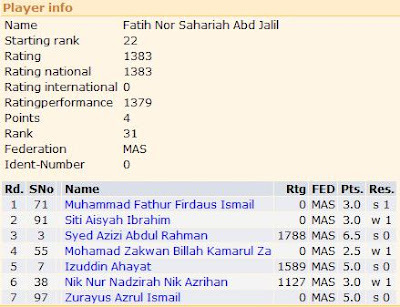 If Indonesia which is ranked higher than Malaysia in the latest FIDE Country Ranking, 58th to 69th, and has 6 GMs + 12 IMs compared to Malaysian only 5 IMs uses and conducts the selection process, Malaysia MUST DO the same thing. Who are making the list? Siapa yang berjaya "lolos"? Atau dalam perkataan lain, siapa 11 pemain yang berjaya ke peringkat saringan seterusnya? 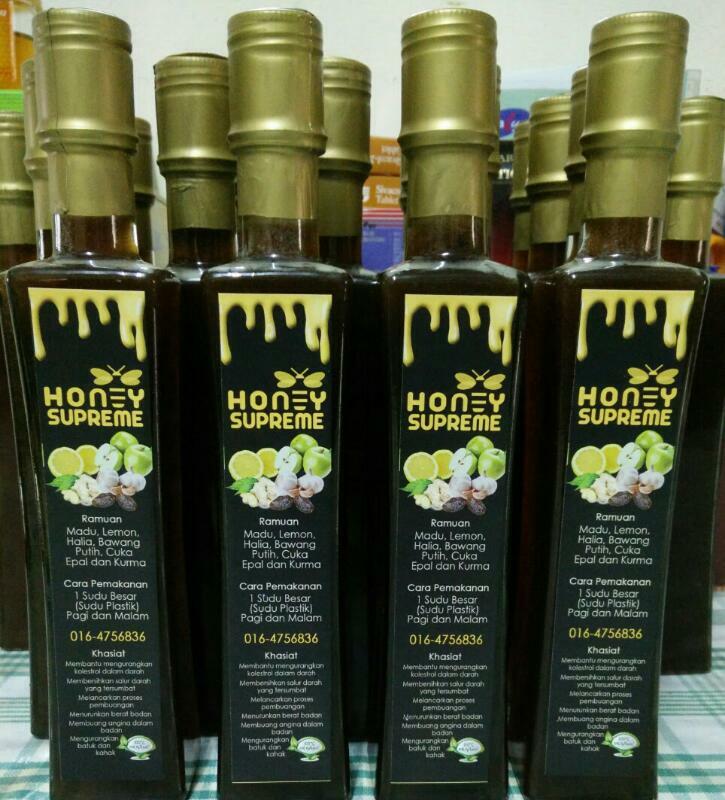 Check out senarai-senarainya seperti di bawah. Cuba perhatikan gambar-gambar mereka di atas. Yang lelakinya memakai baju merah sementara yang perempuannya memakai baju hitam. 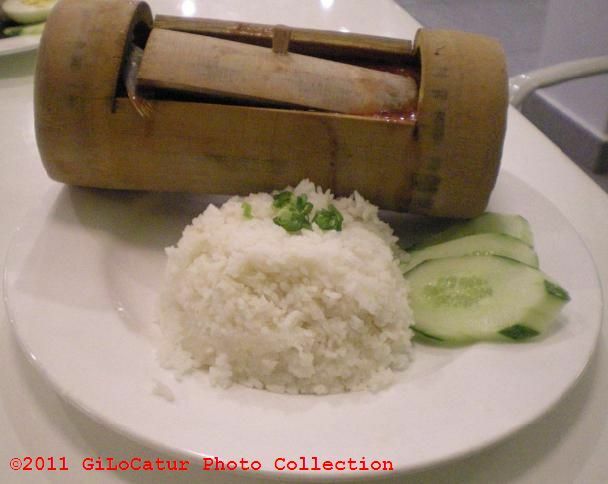 Setahu GiLoCatur, baju-baju tersebut diberi percuma. Dan setahu GiLoCatur lagi, transportation dan penginapan sewaktu kejohanan seleksi tersebut juga ditaja dan diberi percuma oleh pihak penganjur kepada kesemua 71 pemain yang telah terpilih. Another interesting point is that the champion for the women category, Medina Warda Aulia who has about same age and equal strength with Nur Nabila Azman, managed to earn her WIM title from the tournament as per reported by wartaolahraga website. GiLoCatur believes the SELEKNAS tournament is FIDE-rated. From GiLoCatur's humble observation, the chess prodigies of our neighbouring ASEAN countries keep progressing eventhough our own were and are better or at least equal during the early stage i.e. before 12 years old. Nabila and Medina is one example. 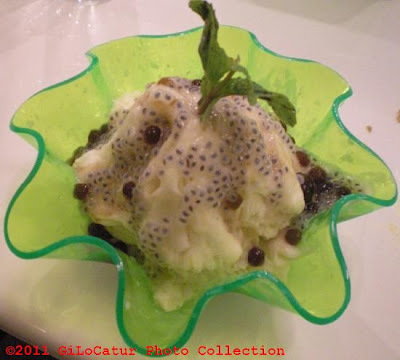 Another example is Anas and Le Quang Liem of Vietnam. Anas was the champion while Liem was second in the 4th ASEAN Age Group in Brunei about 8 years ago. Since then Liem has progressed to become a Super GM. GiLoCatur is not sure who won during their encounter in that tournament. Encik Bakri has the answer for that. The bottomline is why our chess prodigies have slow progress during their teenage and adult stages of life? Why they can not earn the grandmaster title? Or even worse why they are gone from the chess scene? Can we identify the root causes and reasons? Can't we do something? The above is the selection criteria that is being used by PERCASI for the SELEKNAS. 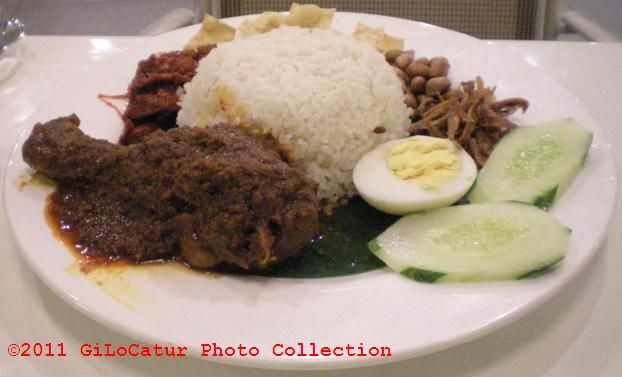 It is published in Catur Indonesia blog. The above is the tie breaks being used in deciding the champion. What GiLoCatur notices from the above info is that no playoff system used to decide the winner. Another thing that GiLoCatur notices about the selection tournament is that the number of rounds is 11; NOT 9 like we normally have in Malaysia. GiLoCatur is very impressed not only proper and appropriate dress code and attire stressed and expected from the players as the following but also from the audience and viewers as well as the officials. It is very obvious also that the audience and viewers are allowed to enter the tournament hall. 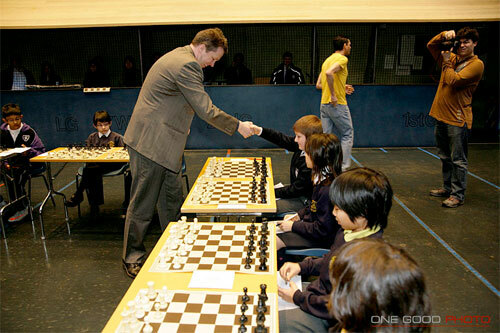 It is no doubt, to promote chess to higher level, a very good campaign and media coverage is very crucial. The SELEKNAS tournament has excellent campaign and gets lots of coverage as proven below. GiLoCatur believes we can have the same since there are many local chess blogs in Malaysia. Just the hard part is the media coverage both paper and electronic. For sure, press release is where we need to improve. Good rapport with the media needs to be established and maintained. Penganjuran SELEKNAS ini bukan perkara baru di Indonesia. Ia telah pun digunapakai dan dilaksanakan semenjak beberapa tahun yang lalu. GiLoCatur kurang pasti semenjak bila, tetapi setidak2nya semenjak tahun 2006 iaitu SELEKNAS Chess Olympiad yang ke 38 seperti yang dilaporkan di sini. Satu lagi perkara yang GiLoCatur perasan tentang perkembangan catur di Indonesia ialah peranan GM Utut Adianto, GM pertama Indonesia kalau tidak silap, dalam melahirkan pemain2 catur Indonesia berwibawa. Seperti apa yang GiLoCatur tahu, kedua-dua GM Susanto dan WGM Irene adalah produk dari sekolah catur beliau. Begitu juga dengan Medina. So, banyak yang kita komuniti catur Malaysia boleh pelajari dan apply dari info dan maklumat di atas. Semoga catur atau chess "bisa" berkembang lebih pesat dan maju di Malaysia khususnya dan di ASEAN amnya. 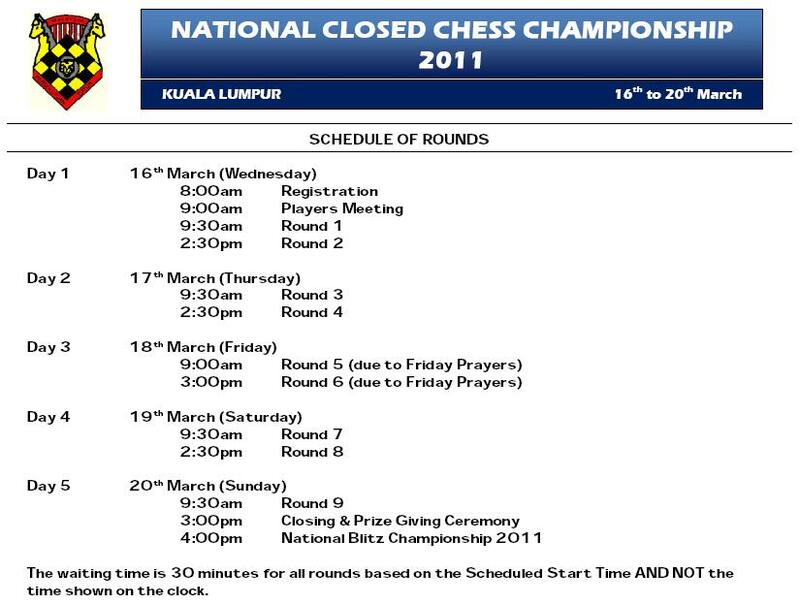 Below is the schedule of the Malaysian 2011 NCCC as per emailed by Mr Najib Wahab, the DATCC Program Coordinator. 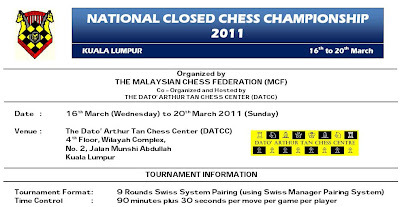 It will be NINE G/90 + 30 seconds format rounds played for five days starting on Wednesday, 16th March 2011. Two rounds on each day except only one on the final day. HAVE YOU REGISTERED? Hurry up, you get 20% discount if paid before 20th Feb. Moreover, ONLY the first 120 players (combine Open and Women categories) will be accepted for the tournament. GiLoCatur had registered both Fikri and Anis today for the tourney. Parents like GiLoCatur will be busy driving the kids who are participating to and from the DAT Chess Center, the venue of the tournament. SEE YOU, insyaallah, IN THE NC 2011 TOURNEY! 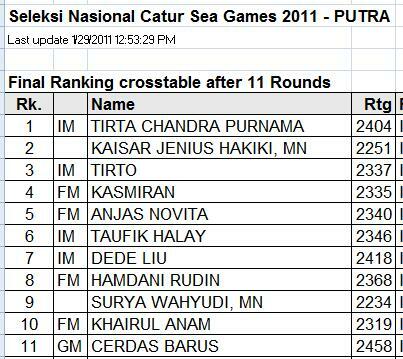 Kelantan Closed (KC 2011) Chess Championship was held several days ago. The champion had emerged from about 100 Kelantanese chess players. Syabas and tahniah to Nik Ahmad Farouqi for being able to win over the defending champion, Syed Azizi Abdul Rahman during the play-off after both of them tied with 6.5/7 points. Congratulation and kudos to the PCNK's committees for successfully organizing the championship. 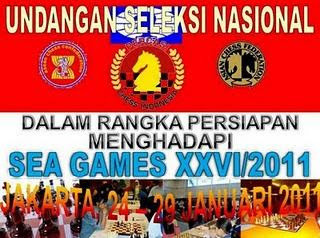 GiLoCatur is very happy that the Kelantan state chess association has become active in chess tournaments and events. But GiLoCatur is not very happy for the fact that GiLoCatur's beloved Selangor state chess association has become inactive in chess. Many local chess players particularly the Selangorians are eager to have chess allegros that the state chess association used to organize. The last one was held more than seven months ago. GiLoCatur is happy because three of the four Kelantanese chess juniors that being highlighted in this blog a couple of weeks ago (here) took part in the KC 2011. 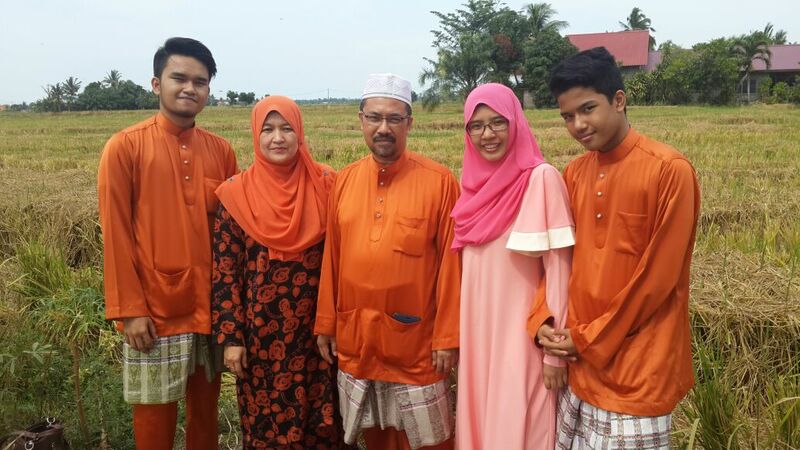 They are Nik Muhammad Haziq Najmuddin, Muhd Faiz Zakaria and Fatin Nor Sahariah Abd Jalil. To have the continuity in their rating review, GiLoCatur would like to look at their performance in the tournament in terms of rating. GiLoCatur hopes that they do not mind being reviewed and focussed here. GiLoCatur also hopes this review will motivate and encourage them as well as other Malaysian chess juniors to improve their games especially in terms of the national ratings. As per below tournament profile, Haziq played against two higher-rated and five unrated opponents in the KC 2011. He did not manage to win over the two rated opponents as well as losing twice against the unrated participants. Having the 33rd starting rank, with 3/7 points Haziq was placed 58th and had the rating performance of 1246, minus 8 points than his latest national ratings. 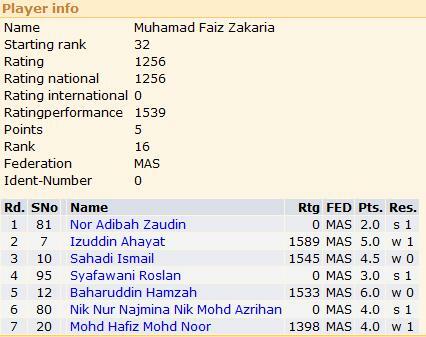 Meanwhile, Muhammad Faiz had a good tournament after managed to earn more than 200 points. Initially ranked 32nd with MCF ratings of 1256, he managed to take points from two higher-rated opponents. In the second round, he upsets the 7th seed whose ratings is 1589. Had he win over the other two 1500-rated players, his tournament ratings performance would jump higher. Syabas Faiz and keep it up in other rated chess tournaments. Practice more and keep learning. As for Fatih, she played more or less to her ratings strength. The defending champion who was her 3rd round opponent may be still hard to beat. But with great efforts of more practice, more chess coaching, more chess books reading and studying, and more chess tournaments participating, she will be able to move up the ratings ladder. Nothing is impossible. Nothing is beyond reach. She only lose to one unrated player in the final round. It is either the unrated opponent is actually a strong player or she was out of steam. Stamina is very important and crucial for a chess player. Physical exercise must not be neglected. GiLoCatur hopes that they will take part in the National Age Group (NAG) championship next month. Hopefully, PCNK does not only sponsor its representative to the National Closed, but also the juniors to junior chess tournaments like the NAG. Or maybe it can assist in chess coaching. Yes, it is not easy to get the fund but we the Malaysian chess community needs to strive for the bright future of chess in the country. GiLoCatur is very positive that PCNK is capable of doing so since it has "GOMO KELATE GOMO" spirit he ... he ... he ... Betu dok Badbishop? The much awaited details of the National Closed Chess Championship has come out. When it will be held, is already known earlier. The tournament is scheduled in March during the first school midterm break 5 weeks from now. It is the venue of the tournament that the Malaysian chess community would like to know. 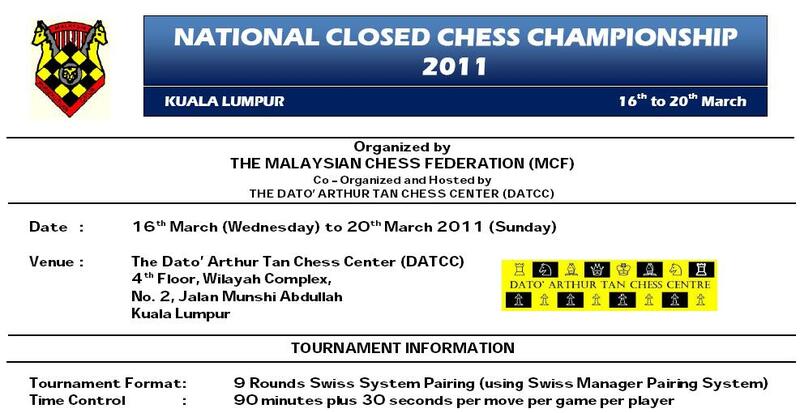 So, as per below, the venue for the tournament will be at the DAT Chess Center at the Wilayah Complex. 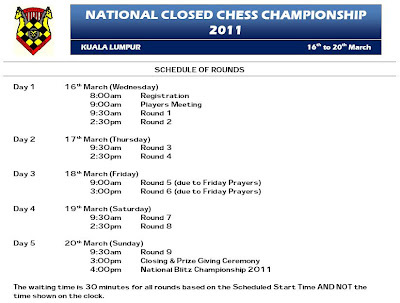 SO, THE MALAYSIAN CHESS PLAYERS, ARE YOU READY TO BATTLE FOR THE 2011 NATIONAL MASTER (NM) AND NATIONAL WOMAN MASTER (NWM) CROWN? The 'El Nino' had left Anfield. He comes to Stamford Bridge with 50 million pound price tag. Some visitors may do not understand what GiLoCatur is talking about. Who is the 'El Nino'? What or where is 'Anfield'? What or where is Stamford Bridge? Actually, GiLoCatur is talking about EPL or English Premier League. 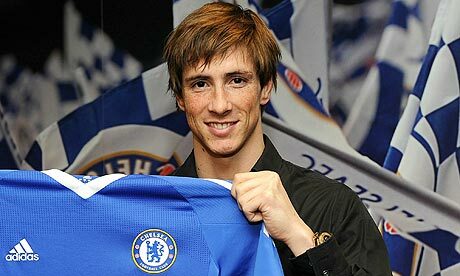 About the transfer of Fernando Torres (below picture) whose nickname is the 'El Nino' from Liverpool to Chelsea, GiLoCatur's most favourite EPL's club. Many Liverpool fans are sad or even angry about the transfer. By having Fernando Torres as well as David Luiz in the Chelsea line up, GiLoCatur hopes that Chelsea will regain its fantastic form. GiLoCatur is also impatient to see the striking partnership between Fernando Torres and Didier Drogba, GiLoCatur's current most favourite football player. Fernando Torres is very eager to be included in the first eleven against his former club, Liverpool today. which team will win? what's your prediction? 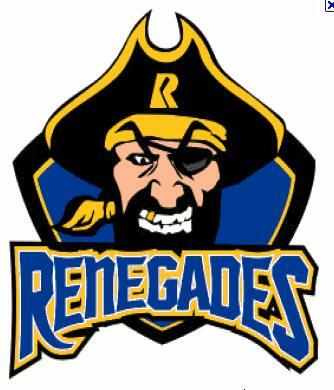 GiLoCatur played in the DATCC Renegade Rapid held last weekend. GiLoCatur just managed to win two games and drew one. But in overall, GiLoCatur is happy with the performance. It is not GiLoCatur who played badly, but the opponents played better ... LOL! Fikri had the above "nasi lemak"
... whilst Anis had the above spaghetti with cream ... mmmmm looks delicious uh? HOW ABOUT YOU? What kind of food will you have after playing in a chess tournament? 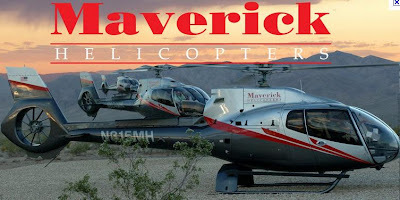 DATCC RENEGADE WAS OVER, DATCC MAVERICK IS ON! DATCC Renegade Rapid Chess was over. It was held last month. GiLoCatur and the kids were among the more than 90 participants. Another rapid chess tourney is next. Mr Najib named it DATCC Maverick Rapid Chess. It is scheduled on Sunday, 27th February 2011. Do you know what the meaning of the above catchy titles? 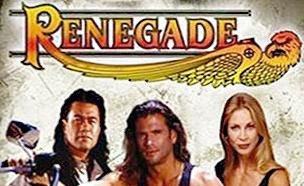 Renegade is an outlaw or a rebel. 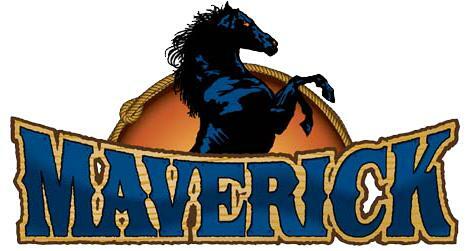 while maverick, as an adjective, means showing independence in thoughts or actions. as a noun it means one who does not abide by rules like a nonconformist and a rebel. DARE to be a rebel on Sunday, 27th February 2011? Check out the details here and register for the rapid tournament. SEE U AT DATCC! "Dulu PCNT, Sekarang TCA pulok!" 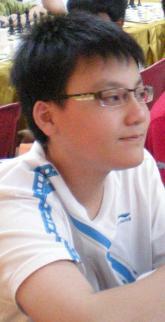 GiLoCatur hopes the year of 2011 will be a promising one for chess in Terengganu. Its newly revived chess association will have its first AGM during 7th and 8th May weekend. In the same weekend a Terengganu Chess Open is scheduled to be held. Previously known as PCNT or Persatuan Catur Negeri Terengganu. Now it has a new name. It is TCA or Terengganu Chess Association. The Malaysian chess community will be very glad that chess will bloom in Terengganu and it will produce chess champions. GiLoCatur also hopes that more and more chess tournaments will be organized by the state association. So, all Terengganu chess players are urged to register with TCA. Actually, GiLoCatur is not sure about the membership requirement whether it is only open to "anak" Terengganu. As GiLoCatur went through its constitution, it does not state about it. Please download the membership form and TCA's constitution from this link. Schools and offices in Kuala Lumpur are closed or off today. PERCAWI or Wilayah Chess Association held a chess event named as the PERCAWI City Day Age Group Chess Open at Cochrane's . The tourney is 6 Swiss rounds of G/25 format. The tournament is divided into two categories - Boys Under 18 and Girls Under 18. The former had attracted more than 50 participants while the latter just managed to attract about 20 girl chess players. In the boys section, Kung Kah Heng (below picture) who is the 13th seed managed to be the champion after winning 5 games and drew one. By scoring 5.5/6 points and having better tie break over Fikri who scores the same point, Kah Heng was declared the winner. While in the girls section, the top seed Olivia Madhavan (below picture) who is also the daughter of the PERCAWI's president, Mr Collin, won the section from 5 wins and 1 draw. In the final round, she beats Anis Fariha, GiLoCatur's daughter. Click here to view the final ranking for the girls section. Click here to view the final ranking for the boys section.